One of the vast array of joys of questing comes when you run into a place that you don’t know, about which you haven’t heard an opinion expressed, that then turns out to be quite magnificently good. 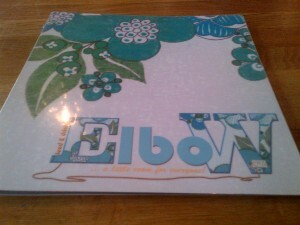 Such was the case with today’s visit to Elbow, on East Claremont Street. Having done the inevitable internet investigations, it appears that plenty of people have found it, previously, as you would expect of a place in its fifth year of operation. I guess its slightly betwixt and between location must be at least partly responsible for it not having cropped up on my radar, until now. The split-level interior has a quirky charm, with an eclectic selection of seating options. The music, on my Sunday afternoon visit, was pitched at a perfect, laid-back pace. I was tired from an 18km walk, hither and thither, to get there, but can imagine that a hungover version of me would have been equally appreciative of the soothing sounds. The nicely designed menu offered a good range of dishes, but my interest was taken by the roast. As I was taking my seat, the chef called out that it was freshly ready, with today’s meat of choice being chicken. That sounded good to me. I poked my head in to the small kitchen space to ask what the soup was, with chef relaying that it was a spicy tomato and red pepper. I took my seat, ordered some water, and confirmed to my extremely obliging waitress that the soup and roast were my selections. With a commendable attention to detail, she took a moment to clarify whether I wanted them to arrive together or separately, and whether I wanted a small or large bowl of soup. Separately and large were my responses. First up was the soup, which arrived in a dinky little Le Creuset pot, complete with lid, accompanied by a buttery toasted ciabatta, on a piece of slate. It looked really smart, and as I lifted the lid, I was really hoping that the soup would live up to its stylish looks. 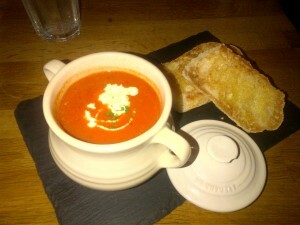 Fortunately, it did, with nicely judged spicing of a rustic soup, into which I dunked my toast, to my heart’s content. The roast chicken to follow was even better. 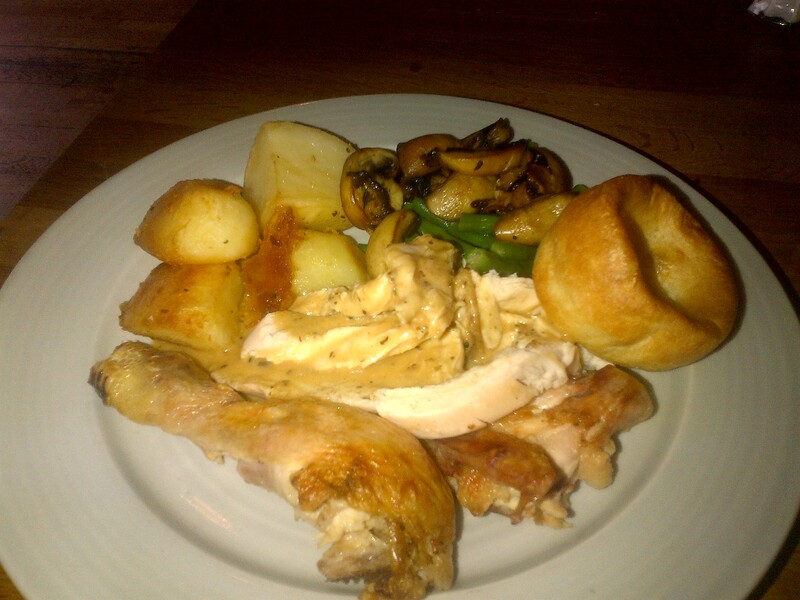 A leg, a wing, and a generous amount of breast meat was topped with its own gravy, and accompanied by a lightly crisp Yorkshire pudding, simple, tasty mushrooms and green beans, and large, crisp/fluffy roast potatoes. Put simply, this was the best Sunday roast I’ve been served in Edinburgh. The chicken was first rate, with the beautifully roasted meat falling off the bone with minimal persuasion. I cleaned the plate with considerable relish. So overall, I was delighted with Elbow. I’m sorry not to have discovered it before now, as I’m often asked for Sunday brunch/lunch recommendations, and I know many people who would be as highly delighted with this place as I was, today. For sure, it goes right to the top of my list of recommendations as a great place to spend a Sunday, particularly when you’re feeling the need for a hearty roast. Venture back to try their burgers.. I’ve been on my own personal mission to find my favourite burger in Edinburgh recently and it definitely rated right up there. A unexpected hit courtesy of a discount deal voucher. Where else would you recommend for a good burger? 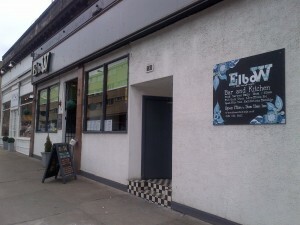 Try Diner 7 in Leith for great burgers too! One of my faves.